A tour, boat painting, friends over, playing in the sprinkler morning. We had a busy morning. 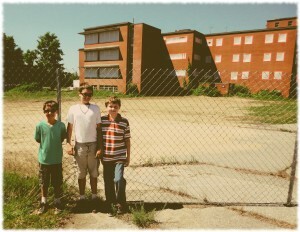 The town of Preston was offering a bus tour of the former Norwich State Hospital, Will and Ben wanted friends over, and I want to get the boat ready to get in the water next weekend. 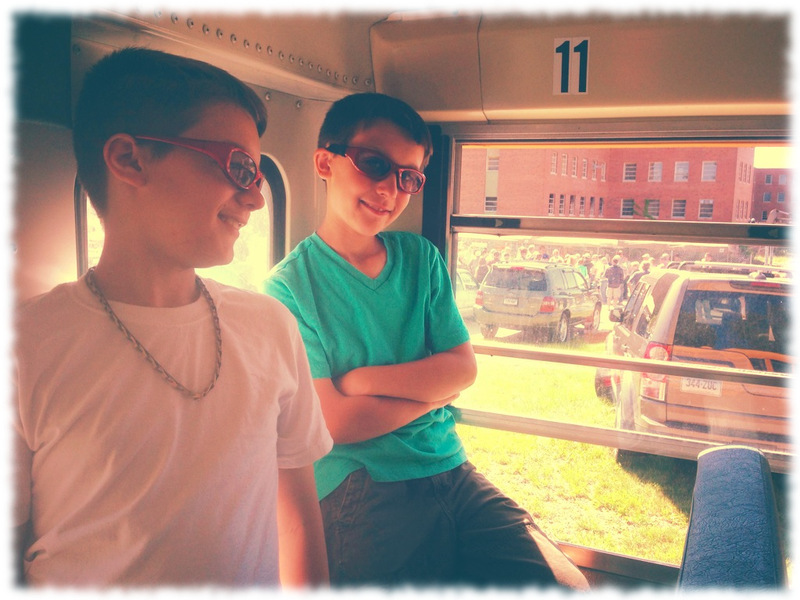 We picked up Will’s friend, Tyler, on the way to the hospital tour, and the boys were surprisingly well-behaved for the 40 minute bus tour, even though they probably got a little bored by the end. However, they all took lots of pictures and will probably post some on their blogs later today (I think Ben took well over 100 pictures during the tour). 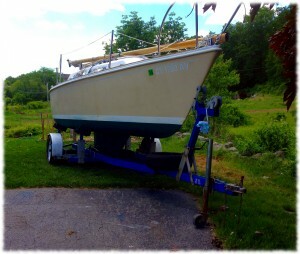 After we came home, I moved the boat and mowed the grass under it. Then the boys helped me paint the bottom of the boat (second coat) – so all I have to do is jack up the boat to paint where the rollers touch, get the outboard running, and finish varnishing the tiller handle – not too much to do in a week. The boys are out running through the sprinkler enjoying the sunny warm day while I try to get green paint spots out of my hair, write in my blog and make lunch.. It is nice to have a kind of odds-and-ends sort of day. 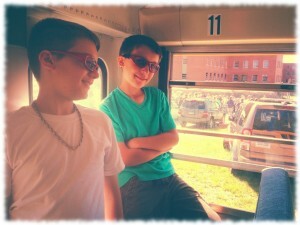 Will and Ben on the bus tour of the Norwich State Hospital property. The boat, bottom painted and almost ready for the water. ← Trains, trains, old trains, rust and other stuff.